Have a look at our real ingredients - each one has been grown and harvested to deliver the flavour you love. We expertly blend these with our natural flavours, mineral salt, sunflower oil and more. We start with ripe red capsicums, vine ripened in the fields of Spain. The capsicum pods are cleaned, chopped, dried, and then milled to a fine powder in a state-of-the-art processing facility. This vibrant red powder is 100% spicy Spanish paprika. The powder is then steam treated to ensure it meets strict food quality and safety criteria. Our onion powder is made of 100% pure, fresh onons. We grow them and harvest them when their flavour is at its best. 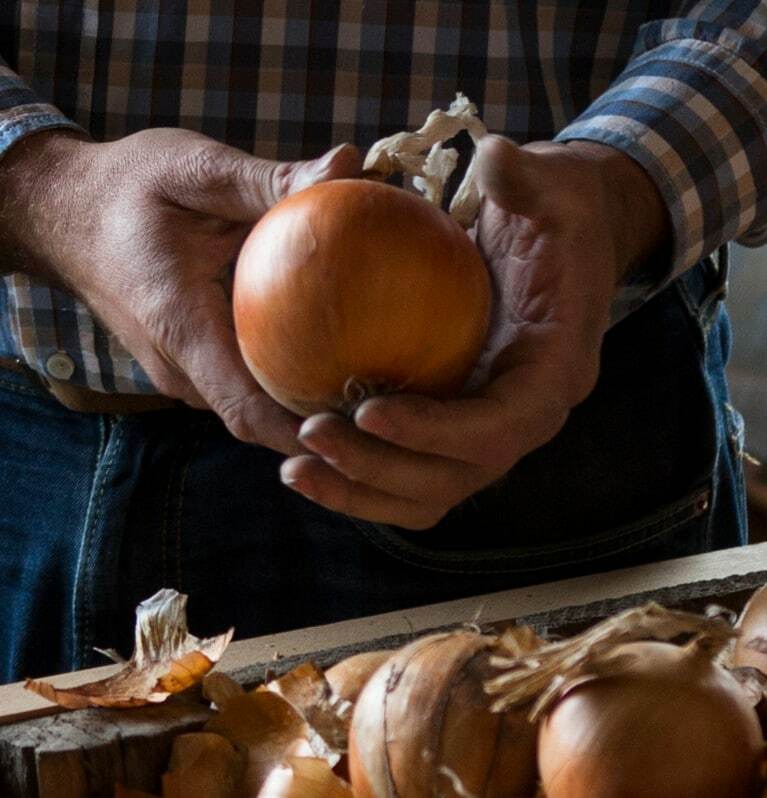 The onions are harvested sustainably; they are washed, chopped, tunnel dried in hot air, and then milled into a fine powder. We choose a specific variety of onion – the white onion - that is particularly suitable to be dried with the best flavour retention. Our rich tomato power is produced from fresh, ripe tomatoes harvested in season. Once picked, they are carefully washed, chopped, gently brought to heat and turned into a delicious tomato paste. They are then dried into a fine powder to preserve the robust tomato flavours. These flavours are concentrated extracts or oils derived from natural seasonal foods. The taste profile of spices and herbs may vary with the seasons. By using natural flavours, we can perfect and maintain the taste of our Chilli Con Carne to ensure the product quality throughout the year. By extracting oils from herbs or spices we capture the flavours at their best. This means that you can enjoy the taste you love whenever you want. These natural flavours include extracts from bay (from real bay leaves), cumin (from real cumin seeds), pepper (from real peppercorns) and garlic (from fresh garlic cloves, blended with a hint of mustard powder). Potassium Chloride is a salt that occurs naturally. We use it to complement the savoury flavour profile in the dish without increasing the level of sodium in the diet. If you have ever had Vegemite on toast, then you’ll know the flavour of this ingredient. Yeast extracts enhance the flavours of the recipe, giving it that savoury punch we all love. What would a spice mix be without a pinch of sugar? It’s that final note of sweetness that perfects the balance of flavours in our Chilli Con Carne. Our sugar is naturally Australian. You may not have heard of this very common ingredient before. It is made from corn sugar and it gives robustness to the dish. It ensures your Chilli Con Carne has the perfect consistency to sit in your perfectly assembled taco shell! You can compare it to using gelatine in jelly, or pectin, when you’re making jam. For binding the recipe we use corn starch, milled from white corn. It is often found in kitchen pantries as just corn flour. Our chefs prefer to use starch over flour because it gives a clearer, less cloudy end result. Finally we add a drop of sunflower oil. Our sunflower oil is made from real sunflower seeds, grown and harvested in Argentina.